Some of my readers will have noticed by now that my regular travel companion has quite expensive tastes (in addition to an extremely lavish lifestyle). 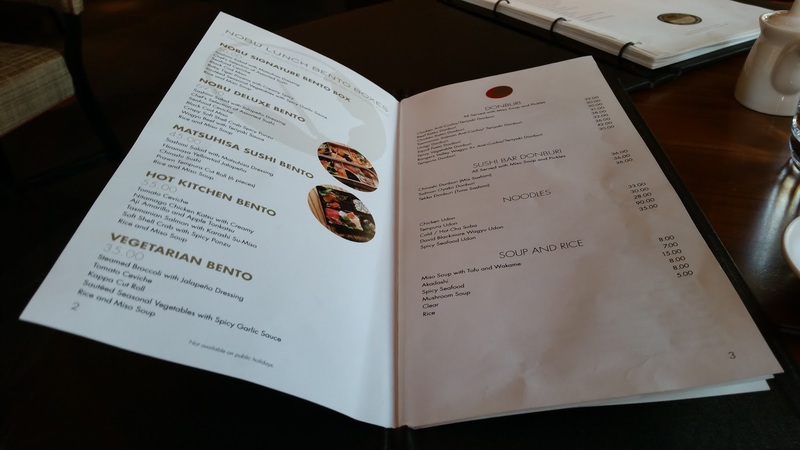 One of the places on his long term go to list was Nobu, a globally renown Japanese restaurant, with its Australian stores in both Melbourne and Perth. 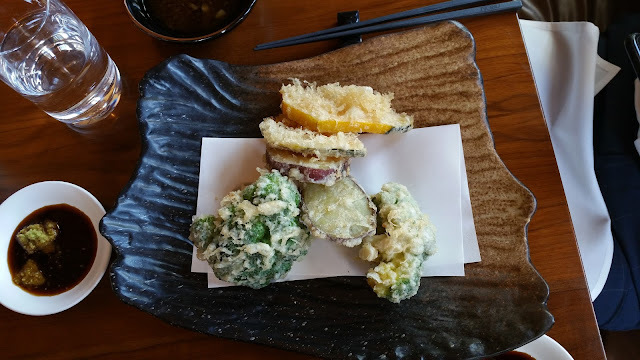 Though initially a little skeptical, the promise of Japanese food was too good to forgo and so I went with him. 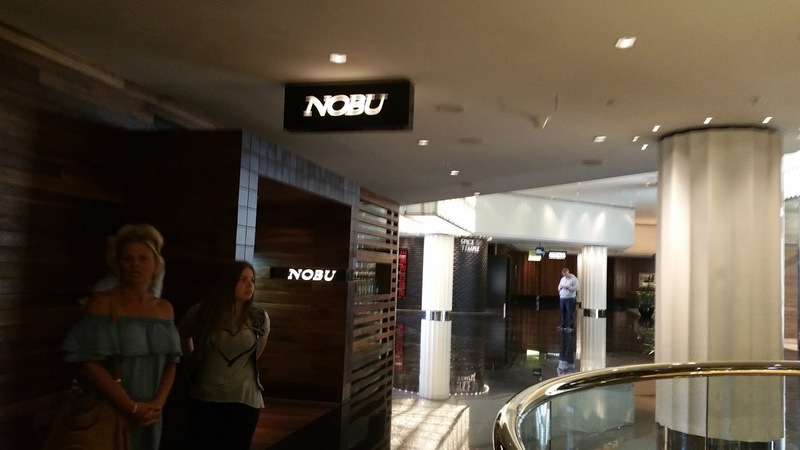 Having last noticed it when I went to Hestons, Nobu is situated on the ground floor of Crown Melbourne. 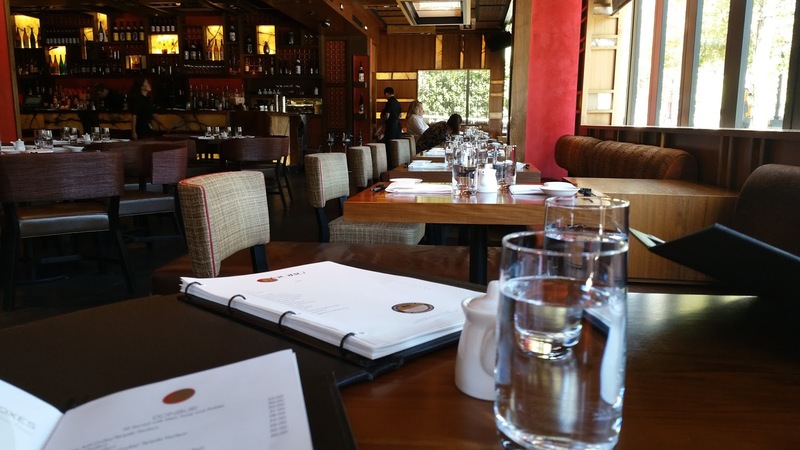 Having made a reservation online, we were quickly ushered to our corner table. I really liked the quiet tranquil environment which gave me brief respite from the frantic day. 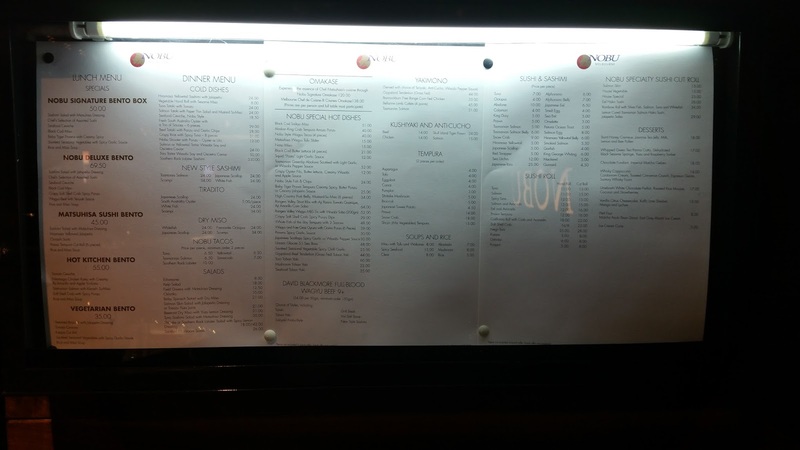 The menu was soon provided and contained a number of traditional and non traditional options. I chose the more traditional whilst my companion went for the modern types. 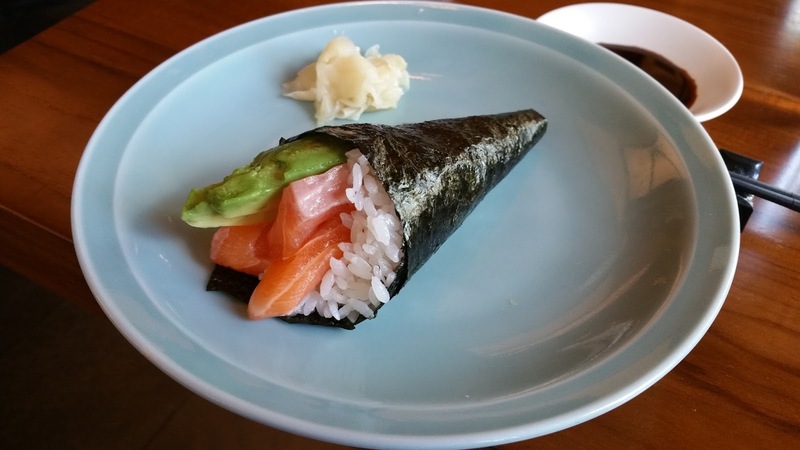 First to arrive was my salmon avocado handroll. I could see the chef had put in a lot of effort to ensure presentation of the sushi was impeccable, but on the downside, by the time the handroll arrived as you can see in the picture, the nori had long become soggy and absorbed the moisture from the rice, so it was no longer crispy at all, which was a shame because the rice was perfectly seasoned and the salmon and avocado both fresh and generous. My main was the Chirashi. As with the handroll, presentation was impeccable (it looked like a piece of art), but portions were a little smaller than I would have liked. 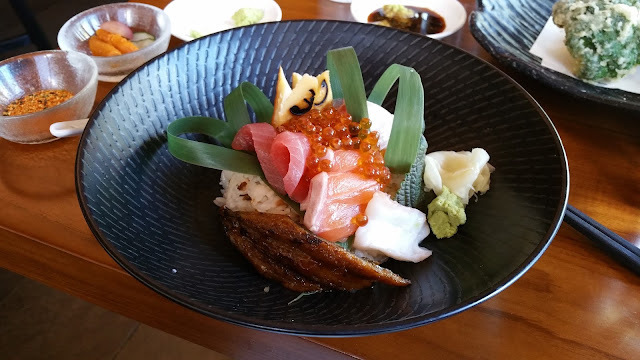 It came with a selection of seafood including salmon, tuna, kingfish, unagi, calamari and salmon roe in addition to a slice of tamago. All slices of fish were super fresh and I enjoyed every morsel. 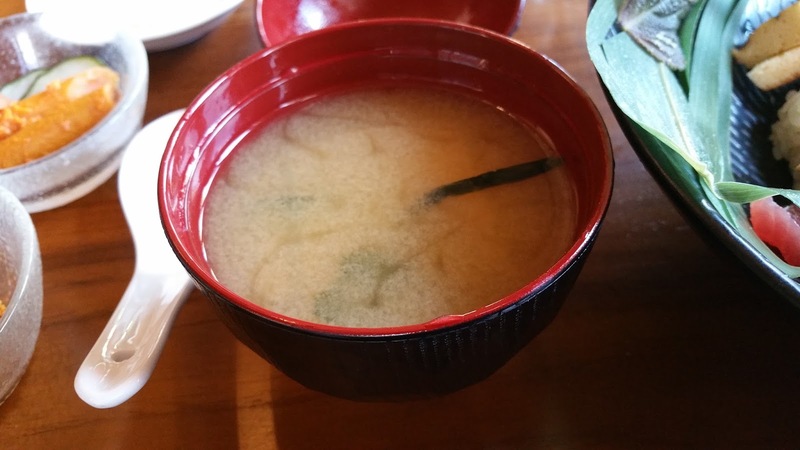 The unagi was also served cold, but I would have much preferred it warm. My chirashi came with a side of miso. It was warm and soothing, which I quite enjoyed. My companion ordered an assortment of tempura vegetables including sweet potato, broccoli and pumpkin. They were freshly fried and the batter deliciously thin. 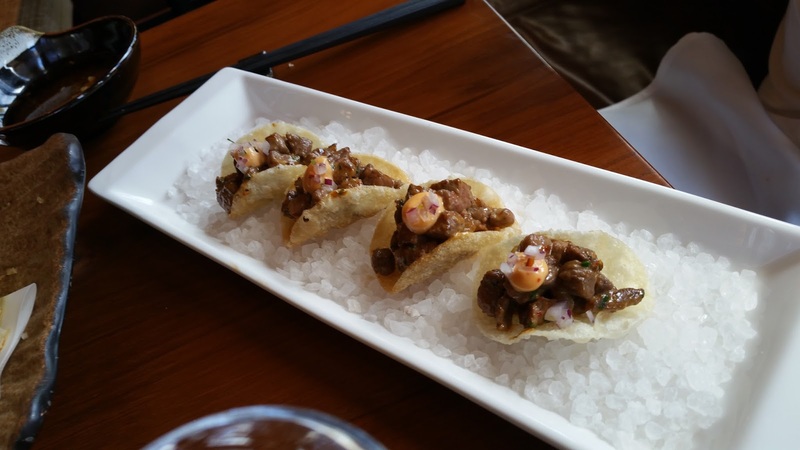 In addition to the Tempura he also had a serve of the Wagyu beef taco. Apparently these little bites of beefy goodness were exceptionally delicious, being both juicy, tender and well marinated in their crunchy little puffed rice shells. He has not stopped talking about this dish since our return to Brisbane.